D.C. BOARD OF ELECTIONS AND ETHICS ISSUES DECISION IMPOSING PENALTIES ASSOCIATED WITH THE "VIDEO LOTTERY TERMINAL INITIATIVE OF 2004"
District of Columbia Board of Elections and Ethics Chairman Wilma A. Lewis today announced that a decision has been reached in the matter of the penalties associated with the circulation of petitions or Initiative Measure No. 68, the "Video Lottery Terminal Initiative of 2004". The Board has assessed a civil penalty against the proposers of Initiative Measure No. 68, Pedro Alfonso, Vickey Wilcher, Margaret Gentry, and the Citizens Committee for the D.C. Video Lottery Terminal Initiative in the amount of $622,880. Pedro Alfonso, Vickey Wilcher, and Margaret Gentry have been fined in their official capacities as the former officers of the Committee and the proposers of Initiative Measure No. 68. This is the first time in the history of the Board that fines have been considered or levied in the context of an initiative and only the second time that the Board has assessed fines for violations of the Election Act. "By this action, the Board believes that it has appropriately addressed the issues presented in the civil penalty phase of this proceeding," Chairman Lewis stated. "The action taken by this Board further emphasizes its ongoing commitment to enforce the District of Columbia election and campaign finance laws and to continue to uphold the integrity of the electoral process in the District of Columbia." On August 3, 2004, the Board rejected Initiative Measure No. 68 for containing a numerically insufficient number of signatures. The District of Columbia Court of Appeals affirmed the Board's rejection an September 28, 2004.
and Margaret Gentry, Former Custodian of Records, Respondents. In July 2004, the District of Columbia Board of Elections and Ethics (“the Board”) conducted a hearing to address challenges to a petition submitted in support of Initiative Measure No. 68, the “Video Lottery Terminal Initiative of 2004” (“Initiative Measure No. 68”). Based on the evidence presented, the Board concluded that a significant component of the petition circulation process was so fraught with, and polluted by, improprieties and irregularities that such violations of the election laws compelled the rejection of thousands of petition signatures. Ultimately, the Board’s conclusion in this regard, together with other findings by the Board’s staff in its review of the petition sheets, resulted in a determination that the petition did not meet the qualification standards necessary to achieve ballot access due to an insufficient number of valid signatures. The presiding Board Members were Chairman Wilma A. Lewis, Esq., Dr. Lenora Cole, and Charles R. Lowery, Jr., Esq. The Respondent, Citizens Committee for the D.C. Video Lottery Terminal Initiative of 2004 (“Citizens Committee” or “Committee”), was represented in this proceeding by George Jones, Esq. of the law firm of Sidley Austin Brown & Wood LLP. The individual officers of the Committee – Pedro Alfonso (Chairman), Vickey Wilcher (Treasurer), and Margaret Gentry (Custodian of Records) – were represented by Francis Carter, Esq. of the law firm of Zuckerman Spaeder LLP.3 The Challengers from the original proceeding, Ronald Drake, Esq. and Dorothy Brizill, appeared pro se, with Ms. Brizill appearing on behalf of both D.C. Watch and D.C. Against Slots. Following a full round of briefing by the parties, the Board conducted a hearing during the course of eight business days from March 10-28, 2005,4 at which testimonial evidence, documentary evidence, and oral argument were presented on the issue of penalties.5 Based on the entire record of proceedings in the video lottery terminal matter – including the record of the July 2004 proceeding – the Board now renders the findings of fact and conclusions of law embodied in this Memorandum Opinion. First, the Board finds that the Respondents are vicariously liable for the wrongful acts of the Stars & Stripes, Inc. (“Stars & Stripes”) circulators. Notwithstanding Respondents’ contention that they are shielded from any responsibility for the violations of law that occurred under an independent contractor theory, the evidence establishes that the Respondents retained the right to control the activities of the circulators and exercised that right during the course of the petition drive. As the Respondents themselves conceded: “[t]he Citizens Committee never relinquished final authority nor the ultimate decisions on matters during this process.” See Statement in Mitigation of Pedro Alfonso, Vickey M. Wilcher and Margaret Gentry (Committee Officers’ Statement) at 3. Thus, the Board rejects the independent contractor theory as inapplicable under the circumstances here. Second, the Board finds that the Respondents are directly liable for their own failures to respond with reasonable diligence to allegations of wrongful conduct and to properly oversee the petition circulation process. Respondents’ failures, under the circumstances here, reflected grossly negligent conduct and negligent supervision, accompanied by a clear indifference as to whether legal requirements designed to ensure the integrity of the process were met. For example, the Respondents did not deign to perform even a cursory examination of the petitions submitted to the Board in support of Initiative Measure No. 68 prior to their submission, as confirmed by Mr. Alfonso’s testimony that he had “no idea what petitions [the petition circulation company was] turning in” to the Board. March 16, 2005 Tr. at 23. Nor did the Respondents make even a perfunctory visit to the Red Roof Inn in the wake of the allegations of wrongdoing, claiming instead that the “Red Roof Inn was not part of the Committee’s responsibility.” March 11, 2005 Tr. at 308. Such a complete disregard by the proposers of the initiative for the bona fides of the petition circulation activities over which they retained ultimate control and responsibility is utterly reprehensible and falls far below any conceivable standard by which the proposers’ conduct should be measured. The Board of Elections and Ethics has the important responsibility of ensuring the integrity of our electoral processes. In the context of the initiative petition process, this requires, among other things, a careful examination of the facts and circumstances surrounding the circulation of petitions, with due consideration for safeguarding both the rights of individuals to have their signatures count … as well as the integrity of the process. August 13, 2004 Memorandum Opinion and Order at 2. The Board’s examination into the circumstances surrounding the Initiative Measure No. 68 petition circulation process revealed significant and pervasive irregularities and improprieties of a magnitude never previously experienced in this jurisdiction. The illegal activities compromised, and made a mockery of, the integrity of the electoral process that the Board is charged with protecting. Accordingly, a fine in the amount of $622,880 is wholly justified. On July 21, 2004, the Board commenced a hearing in response to two challenges to a petition submitted in support of Initiative Measure No. 68.6 The Challengers alleged that there were particular deficiencies in the petition sheets submitted to the Board and in the petition circulation process itself, as well as a pervasive pattern of fraud, forgery, and other improprieties that permeated the entire petition circulation process and thus warranted the rejection of the entire petition. 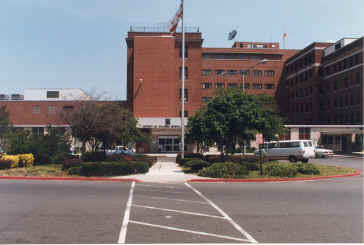 Based on the evidence presented during nine days of hearings, the Board rendered its ruling, which was memorialized in an August 13, 2004 Memorandum Opinion and Order and a September 20, 2004 Clarification Memorandum entered in response to an inquiry from the District of Columbia Court of Appeals during a subsequent appeal. The Board found that, in addition to specific deficiencies, pervasive irregularities and improprieties in the petition circulation process so “polluted” the portion of the signature gathering operation conducted by Stars & Stripes7 as to require invalidation of all petition sheets circulated and signatures gathered by the Stars & Stripes circulators. Moreover, the Board concluded – independent of any other considerations – that the pervasiveness of the violations associated with the “in the presence” requirement for petition circulators and the accompanying false affidavits,8 the altered circulator signatures on petition affidavits, and the forged signatures on petition sheets justified the exclusion of all signatures collected by Stars & Stripes. The Court of Appeals affirmed the Board’s Order on September 28, 2004, upholding the Board’s conclusion that “the pervasiveness of the wrongdoing associated with Stars & Stripes required exclusion of all petitions circulated by that operation[. ]” Citizens Committee for the D.C. Video Lottery Terminal Initiative v. District of Columbia Bd. of Elections & Ethics, 860 A.2d 813, 816 (D.C. App. 2004). On March 10, 2004, the Board commenced a penalty hearing, pursuant to D.C. Official Code § 1-1103.5(b). Arguing that no civil penalties should be imposed, the Respondents maintained that neither the Committee, its officers, nor the proposers of the Video Lottery Terminal Initiative should be held liable for any of the violations that occurred because the violations were committed by circulators who were independent contractors and not subject to the Respondents’ control. The Respondents further argued that their conduct was not blameworthy because they took reasonable steps to assure compliance with District of Columbia law, and acted promptly to remedy improper conduct of which they were made aware. The Board rejects both arguments offered by the Respondents. First, with respect to the independent contractor argument, the Board finds that, under the circumstances here, a “master-servant” relationship existed between the Committee on the one hand, and Progressive Campaigns, Inc. (“PCI”), Stars & Stripes, and the Stars & Stripes circulators on the other, and that the circulators were acting within the scope of their employment when they engaged in the proscribed conduct. Accordingly, the Committee bears responsibility for the violations of law that were committed by the Stars & Stripes circulators, and are vicariously liable and subject to civil penalties for the wrongful acts of those circulators. Second, the Board rejects Respondents’ contention that their conduct was not blameworthy, finding instead that the proposers failed to be sufficiently responsive in the face of allegations of improper conduct, and further failed to properly oversee the petition circulation process. Thus, the proposers are responsible for their own failures in these respects and the imposition of civil penalties is warranted. The Respondents devoted most of their attention during the penalty phase of the proceedings to the argument that they could not be held responsible for the violations committed by the Stars & Stripes circulators. They argued, in essence, that they ceded complete control of the petition circulation process at issue to PCI -- a California-based petition circulation company with which the Citizens Committee contracted to manage the petition circulation process -- thus creating an independent contractor relationship. The Respondents further maintained that PCI then hired various subcontractors, including Stars & Stripes, to help perform the necessary petition circulation activities. According to the Respondents, they were completely divorced from any operational or other control over the circulators affiliated with Stars & Stripes,11 and thus are shielded from any responsibility for the circulators’ actions. As discussed below, the Board rejects the Respondents’ independent contractor argument. “An independent contractor is defined as ‘a person who contracts with another to do something for him but who is not controlled by the other nor subject to the other's right to control with respect to his physical conduct in the performance of the undertaking.’” Safeway Stores, Inc. v. Kelly, 448 A.2d 856, 860 n.8 (D.C. App. 1982)(quoting Restatement (Second) of Agency § 2(3) (1958)). As the District of Columbia Court of Appeals has also recognized, the determination whether an independent contractor or “master-servant” relationship exists “depends upon the particular facts of each case.” Id. at 860 (citations omitted). While there are several factors to be considered in making this determination,12 “[t]he decisive test *** is whether the employer has the right to control and direct the servant in the performance of his work and the manner in which the work is to be done.” Id. (citations omitted; emphasis in original). This right to control, which is the “determinative factor,” means “the right to control an employee in the performance of a task and in its result, and not the actual exercise of control or supervision.” Id. (citation omitted). See also Dovell v. Arundel Supply Corp., 361 F.2d 543, 545 (D.C. Cir. 1966); Brown v. Argenbright Sec., Inc., 782 A.2d 752, 759 (D.C. App. 2001). In Safeway, the Court of Appeals held that the grocery store exercised sufficient control over a security guard employed by a security service such that the grocery store could be held liable for the tortious conduct of the security guard. As in the instant case, Safeway argued that it did not have the right to control the manner in which the guard performed his work, thereby making the guard an independent contractor and shielding Safeway from any liability for the guard’s actions. Safeway, 448 A.2d at 861. After examining the indicia of control reflected in the record, the Court rejected Safeway’s argument, finding instead that “the store manager had operational control over the guards, who worked under his general direction.” Id. As with the Court of Appeals in Safeway, the Board finds that the Respondents are vicariously liable for the wrongdoing of the Stars & Stripes circulators based on the control that the Citizens Committee retained over the petition circulation process that governed the circulators’ activities. Notwithstanding the Respondents’ attempt to distance themselves from the operational activities of Stars & Stripes and its circulators, the record is replete with indicia of precisely the type of control maintained by the Citizens Committee over the petition circulation process and associated activities that renders the independent contractor theory inapplicable. Evidence of this control is apparent in the Statements in Mitigation submitted by the Respondents, testimony in the July 2004 proceeding, and the actions of the Respondents during the course of the petition circulation drive. The overall circulating process at the various locations was overseen by the Chairman of the Committee, Mr. Alfonso. His field managers helped “manage the process” and “were the eyes and ears out in the field” to report back to Alfonso daily on circulation activities or issues. July 28 Tr. at 263-264. Alfonso also directed Robert Newell to coordinate between PCI’s subcontractors and manage activities between all the subcontractor locations. July 28 Tr. at 209. Alfonso and the other Proposers met each night with Newell to discuss the daily activities. July 28 Tr. at 272. The Committee and PCI required petition circulators to provide appropriate identification proving age and D.C. residency. … The Committee also required circulators to sign a supplemental Declaration of Witness in which each circulator attests under penalty of perjury that he/she witnessed the signatures appended to the petition. Id. at 7-8 (citations omitted; emphasis added). Likewise, in the area of training, PCI and the subcontractors were described as having established procedures, “[u]nder the supervision of the Proposers,” to ensure proper training of, and understanding of District law by, the circulators. Id. at 18 (emphasis added). Thus, the Committee’s attempt to distance itself from the operational activities of Stars & Stripes and its circulators is contrary to the Committee’s own representations in its written submissions to the Board. Having read the Statement in Mitigation submitted by the Committee, the individual Respondents – Pedro Alfonso, Vickey M. Wilcher and Margaret Gentry – submitted a Statement of their own which “adopte[d] and incorporate[d] the majority of [the Committee’s Statement] … and provide[d] additional details for the Board’s consideration.” Committee Officers’ Statement at 1. Far from disavowing the description in the Committee’s Statement regarding the significant degree of control maintained by the Committee, the “additional details” provided by the officers of the Committee served to underscore the same point. For example, the Committee Officers noted that, because Mr. Robert Newell had previously worked with PCI, he was the person who contacted PCI, contracted with the company for its services, and kept abreast of the work being performed by PCI. Id. at 2.14 Confirming that the Citizens Committee remained in control and dispelling any suggestion to the contrary, however, the officers added that Mr. Newell “ultimately reported [PCI’s] actions to the Citizens Committee.” Id. at 2-3. Even more pointedly in this regard, the officers stated unequivocally: “The Citizens Committee never relinquished final authority nor the ultimate decisions on matters during this process.” Id. at 315 (emphasis added). According to the officers’ written submission to the Board, they fully recognized and appreciated their “overwhelming need to supervise all those involved” in the signature gathering process. Id. at 4 (emphasis added). Thus, the individual Respondents – like the Committee itself – described the level of control that they maintained over the petition circulation process that governed the circulators’ activities in a manner that is inconsistent with the existence of an independent contractor relationship. Respondents’ own statements in their submissions to the Board are sufficient to satisfy the indicia of control necessary to refute the independent contractor theory. These statements reflect the right to control the process that governed the circulators’ actions – which is dispositive – as well as examples of how that control was exercised. Aside from the Committee’s and its officers’ assertions in their Mitigation Statements, however, evidence of the control maintained and exercised by Mr. Alfonso as the Chairman of the Committee also came from Mr. Alfonso’s testimony during the July 2004 proceeding. Mr. Alfonso testified that, as Chairman of the Citizen’s Committee, he “[p]rovided overall coordination and direction for the petition process.” July 28, 2004 Tr. at 90, 95. Thus, although Mr. Alfonso testified that the signature gathering process utilized was “PCI’s process”, that it was PCI’s decision as to how to manage the process, and that he did not in any way supervise the petitioning process done by PCI or any other contractors (id. at 110, 111-112, 211), he nonetheless acknowledged that, on the first day of the petition drive when allegations of improprieties had surfaced, he had a “detailed discussion” with the PCI representative regarding the “specific process that they would utilize for [the] drive.” Id. at 113, 114. This discussion included “the specific detail of people that they were using, how they would be used, how they could control the process, ….” and how the process comported with the law in the District of Columbia. Id. at 115, 121. According to Mr. Alfonso, the PCI representative “had to prove to [Mr. Alfonso] that that process was acceptable.” Id. at 121. Based on the discussion, Mr. Alfonso “felt comfortable that the process was valid and we could proceed.” Id. at 123, 124. Mr. Alfonso also described the manner in which the Committee provided oversight of the signature gathering process. According to Mr. Alfonso, his personal involvement was with the “upper management of PCI” (id. at 212)16 – for purposes, for example, of calling in supervisors and managers to discuss and resolve issues of concern, issuing instructions, and observing the training and orientation process. Id.17 Mr. Alfonso further testified that, in addition to his personal involvement, as well as the coordination and management efforts that he expected from PCI as the contractor, he also received “input from others” (id. at 214), including individuals who were “paid a specific fee for managing the petition process … [and who] were eyes and ears out in the field …” reporting to him on a daily basis. July 28, 2004 Tr. at 263. According to Mr. Alfonso, included among his “eyes and ears” in the field was Mr. Robert Newell, who, “on a daily basis, . . . went to Red Roof Inn to observe the operations over there.” Id. at 267-68, 211, 215, 216.18 Mr. Alfonso’s own testimony thus provides further evidence of the control maintained and exercised by the Committee. The indicia of control reflected in the Statements in Mitigation and in Mr. Alfonso’s testimony are further augmented by certain specific actions taken by the Respondents during the petition drive, which continue to illustrate the control over the process and associated activities maintained and exercised by the Respondents. I think her testimony also said that she also went to the field and confronted the PCI manager on correcting some circumstances. I think one of the managers mentioned that Vickey Wilcher was very direct and that came from the committee’s office, my office to do that. July 28, 2004 Tr. at 217. With respect to the instruction that the T-shirts in question could not be worn, Mr. Alfonso further testified that the Committee was “satisfied that the directive was followed.” Id. at 175 (emphasis added). Third, on at least one occasion, the Committee directed PCI to check petition sheets turned in by a particular Stars & Stripes circulator who was operating out of the Red Roof Inn because of the Committee’s concerns about that circulator. March 18, 2005 Tr. at 37-38. Further, notwithstanding Respondents’ contentions that they had no authority over the circulators operating out of the Red Roof Inn, including the authority to terminate the services of those circulators, the Committee nonetheless discharged the particular circulator about whom they had concerns. Id. at 207-210. Fourth, the Committee asserted that it had no control over where circulators went to collect signatures. In support of this assertion, the Committee offered the testimony of two circulators who both stated that they were free to decide on their own the locations at which they would circulate petitions. See n.10, supra. However, the Committee’s own flyer entitled “Notice to Petition Circulators” specifically directs the circulators to work in five target wards.21 Thus, the Committee did, in fact, exercise control over the areas of focus for the circulation activity. These examples of actual control exercised by the Respondents are much like those in Safeway, which the Court deemed to be “evidence of the general right of Safeway to control the guard in the performance of his duties.” Safeway, 448 A.2d at 861. In Safeway, the record reflected that the store manager “identified specific problems requiring the guard’s assistance and directed the guard to those problems,” such as locking the doors at the manager’s request, acting under the manager’s general direction in response to a problem with a customer, keeping juveniles out of the doorway, or watching for shoplifters in response to the manager’s instructions. Id. These “specific instances of actual control” (id.) are of similar import and nature as the above-described instructions from the Committee to the circulators directly, or to PCI and Stars & Stripes representatives. Finally, it is apparent that, at the time of the petition drive, the Respondents did not doubt their authority – as officers of the Committee – to take the types of actions and give the types of directives described above. Mr. Hyatt testified that he was directed by the Committee’s counsel to send the memorandum addressed to “all petitioners” that he drafted at the behest of the Committee to the counsel for his review. See Mar. 18, 2005 Tr. at 418. No one suggested that the memorandum should be sent to senior management within PCI or Stars & Stripes for their review or approval. Id. at 420. Instead, following the drafting of the memorandum and approval by the Committee’s counsel, Mr. Hyatt delivered the memorandum to Mr. Towe of Stars & Stripes with instructions that the Committee wanted it to be distributed to all circulators. Id. at 421. Similarly, at no time during the Committee’s discussions regarding the circulator from the Red Roof Inn about whom the Committee had concerns and ultimately discharged did the Committee suggest that the authority of its officers to handle the matter as they deemed appropriate was limited in any respect, or that they were otherwise required to refer the matter to the management of PCI or Stars & Stripes for resolution. See March 18, 2005 Tr. at 65. To the contrary, the officers of the Committee addressed the matter on their own by directing PCI to check each petition sheet submitted by the circulator, and by informing the circulator that she could no longer circulate petition sheets. See id. at 35, 37-38. I have been employed by several people over the years. I’ve had bosses. And while they may give me a particular assignment and walk away, not micromanage how I conduct myself in approaching that assignment but that doesn’t mean that they don’t have the right to speak to me about it at some point if they see me going off the track or, you know, I’m just doing it wrong. You know, they still come to me and say, “Vickey, you need to or, Ms. Wilcher, you need to make some adjustments here or I’d like it if you’d make some adjustments.” So, I thought that I was, as a member of the committee, well within my rights to at least speak to these issues that came to my attention so that PCI might take the necessary corrective action. March 18, 2005 Tr. at 235-36. Ms. Wilcher’s understanding of her authority – which undoubtedly was shared by the other officers of the Committee in view of the representations in the Mitigation Statements, Mr. Alfonso’s testimony in the July 2004 proceeding, and the Respondents’ conduct during the petition drive – is the quintessential example of the kind of “right to control and direct the servant in the performance of his work and the manner in which the work is to be done” that is at the heart of the “master-servant” relationship. See Safeway, 448 A.2d at 860. Once the existence of a “master-servant” or “employer-employee” relationship is established, an employer may be held vicariously liable for the wrongful acts of an employee under the doctrine of respondent superior. See Dovell, 361 F.2d at 544; Safeway, 448 A.2d at 860. However, there must also be a determination that the employee was acting within the scope of his or her employment at the time of the prohibited act. See Jordan v. Medley, 711 F.2d 211, 213 (D.C. Cir. 1983); Brown, 782 A.2d at 757; Safeway, 448 A.2d at 862, n.13. Whether an employee’s act is within the scope of his or her employment is generally a question of fact. Jordan, 711 F.2d at 213; Brown, 782 A.2d at 757. Brown, 782 A.2d at 758, n.8 (quoting Restatement (Second) of Agency, § 228 (1957) (emphasis added)).23 This test is satisfied here. The material facts here are undisputed. First, the Committee’s objective was to secure a sufficient number of valid signatures of registered voters of the District of Columbia to qualify Initiative Measure No. 68 for ballot access. Second, the circulators were hired to gather signatures in furtherance of that objective. Third, a very large number of signatures were directed to be gathered within a very compressed time frame. Therefore, time was of the essence. Fourth, the signatures gathered by the circulators were submitted by the Committee to the Board in support of Initiative Measure No. 68. Fifth, the Board found the manner in which signatures were obtained by the circulators (e.g., through violations of the “in the presence” requirement and forgeries) to be fatally flawed. Finally, the violations that were found to exist in the signature gathering process helped to increase the total number of signatures submitted to the Board. Under these circumstances, it is indisputable that the unlawful conduct by the circulators was a “direct outgrowth of [their] instructions or job assignment … [and] an integral part of the [Committee’s] activities, interests and objectives.” Brown, 782 A.2d at 758, n.7 (quoting Boykin v. District of Columbia, 484 A.2d 560, 562 (D.C. App. 1984)). The satisfaction of the Committee’s requirement that PCI obtain 50,000 signatures within a five-day period, as reflected in the unexecuted contract between the Committee and PCI (see BOEE Ex. 17 at 1 (July 28, 2004)), was undoubtedly fostered by the illegalities that permeated the petition circulation activities conducted by Stars & Stripes. Moreover, evidence presented by Stars & Stripes circulators who testified under a grant of immunity revealed that illegalities were committed at the direction, or with the knowledge, of individuals associated with the petition circulation companies involved in the signature gathering effort. See BOEE Ex. 69 at 28-33 (August 13, 2004). Although the violators in question may have been motivated to engage in the wrongful conduct in part by personal financial gain, they all clearly were seeking to obtain as many signatures as possible, within a very compressed time frame. This was in furtherance of the overall goal of the Committee to obtain the required number of signatures to qualify the initiative for the November 2004 ballot. Accordingly, in addition to the wrongful conduct being of “‘the kind’” that the circulators were employed to perform, and occurring within the context of the authorized signature gathering effort, the circulators were motivated, “‘at least in part, by a purpose to serve the master.’” See Brown, 782 A.2d at 758, n.8 (quoting Restatement (Second) of Agency, § 228). In sum, the Stars & Stripes circulators were acting within the scope of their employment when they engaged in the conduct that was found by the Board to violate the District’s election laws. Having found that a “master-servant” relationship existed and that the Stars & Stripes circulators were acting within the scope of their employment at the time of the wrongful conduct, the Board finds that the Committee is vicariously liable for the violations committed by the circulators, and that the imposition of civil penalties is warranted. See Brown, 782 A.2d at 757 (quoting Boykin v. District of Columbia, 484 A.2d at 561)(“‘Under the doctrine of respondeat superior, an employer may be held liable for the acts of his employees committed within the scope of their employment.’”). The Initiative, Referendum and Recall Charter Amendments Act of 1977 defines an initiative as “the process by which the electors of the District of Columbia may propose laws (except laws appropriating funds) and present such proposed laws directly to the registered qualified electors for their approval or disapproval.” D.C. Official Code §1-204.101(a). “The initiative power, therefore, is a ‘power of direct legislation’ by the electorate” – a power that is “coextensive with the power of the legislature to adopt legislative measures.” Convention Center Referendum Committee v. District of Columbia Board of Elections and Ethics, 441 A.2d 889, 897 (D.C. App. 1981)(en banc). This legislative power granted to the electorate by statute carries with it certain responsibilities for those who are the proposers of initiative measures. Of particular significance here, “[i]n order for any initiative … measure to qualify for the ballot for consideration by the electors of the District of Columbia, the proposer of such an initiative … measure shall secure the valid signatures of registered qualified electors[. ]” D.C. Official Code § 1-1001.16(i)(emphasis added). This responsibility necessarily embodies the obligation to secure the signatures in accordance with the applicable laws, and thus the responsibility to exercise reasonable diligence in overseeing the signature gathering process to achieve that end. See, e.g., District of Columbia v. Mitchell, 533 A.2d 629, 639 (D.C. App. 1987)(“As we see it, the [Department of Corrections statute at issue] implicitly recognizes a duty of reasonable care under the circumstances, the same common law standard we generally apply in all contexts of alleged negligence.”); see also Joy v. Bell Helicopter Textron Inc., 999 F.2d 549, 558 (D.C. Cir. 1993). The Supreme Court noted in 1988 that “[t]he securing of sufficient signatures to place an initiative measure on the ballot is no small undertaking … It is time-consuming and it is tiresome[. ]” Meyer v. Grant, 486 U.S. 414, 423-24 (1988) (citations omitted). In keeping with this sentiment, the law of the District of Columbia allows for 180 days within which to circulate an initiative petition for purposes of ballot qualification. Those risks were, or should have been, apparent. Pedro Alfonso testified that he and the other members of the Committee opted to hire the professional petition circulation firm, PCI, to conduct the petition drive because it was important to do so “[g]iven the nature of this initiative and the limited resources and time[. ]” March 10, 2005 Tr. at 179. However, the challenge of the endeavor was not lost on even the President of PCI, Mr. Angelo Paparella, who testified concerning the “short … compressed timeframe because of attempting to make a certain ballot,” (Mar. 17, 2005 Tr. at 20), and noted that because of the number of signatures that had to be collected in the short period of time, the Initiative Measure No. 68 petition drive was “a daunting task” (July 28, 2004 Tr. at 303), and “was not a typical campaign[. ]” March 17, 2005 Tr. at 80.27 The senior representatives of Stars & Stripes further acknowledged that they had never before been faced with the challenge of collecting such a large number of signatures in such a short timeframe.28 Even newspaper reports echoed words of caution regarding the rush for the November 2004 ballot.29 The risks inherent in pursuing the identified goal were clearly self-evident. Each team of petition circulators who are nonresidents of the District of Columbia and who are from out of town, does seem to include one resident of the District of Columbia who then signs as the circulator. However, these resident circulators are not witnessing each signature personally. They are simply signing the petitions that are actually being gathered by the other, out-of-town member of their team. D.C. Watch July 2, 2004 Letter of Complaint.30 While there is a distinction between “personally witnessing” a signature, and “being in the presence” of someone who is signing a petition – only the latter of which is required for an initiative petition31 – the essence of the problem identified in the complaint was at the core of the subsequent challenge to the petition and at the heart of the Board’s ultimate finding of serious violations of law that permeated and polluted the petition drive operation conducted from the Red Roof Inn. Accordingly, the Committee was, or should have been, on notice not only of the undeniable risks inherent in proceeding with this “atypical” and “daunting” campaign, but also of allegations from the outset that the process was not proceeding in accordance with the applicable law. Under these circumstances, the duty to take reasonable steps to ensure compliance with the law – that flows to the proposers from the statutory responsibility to secure valid signatures – takes on additional significance. Indeed, if a person knows, or should have known, that his agent was behaving in an “incompetent” manner, and armed with that actual or constructive knowledge, the person fails to adequately supervise the agent, that person can be held liable for negligent supervision. See Phelan v. City of Mount Rainier, 805 A.2d 930, 937 (D.C. App. 2002)(citations omitted).32 As discussed below, it is in the fulfillment of their common law duty to exercise reasonable diligence and their separate duty to properly supervise their agents under the circumstances that the proposers’ actions were found wanting. In the context of the July 2004 proceeding, the Board found that, notwithstanding the presentation of documentary and testimonial evidence of circulator contracts, identification requirements for circulators, and witness declarations – the process as it was supposed to operate – it was apparent from the testimony presented that the manner in which the process was managed and actually operated facilitated the types of irregularities and improprieties that occurred. See Memorandum Opinion and Order dated August 13, 2004 at 28, 45-48, 50-51; Clarification Memorandum Opinion dated September 28, 2004 at 8-9, n.14. Similarly here, while it may appear at first blush – based on descriptions of procedures and actions taken – that the oversight provided by the proposers was adequate, in reality the proposers’ response to allegations of wrongful conduct and their general oversight of the circulation process were woefully deficient. Compounding the insufficiency of this response was the uncertainty as to whether the reminder was ever received by the intended recipients, because none of the witnesses who testified could attest that the memorandum was in fact distributed. Mr. Clinton Hyatt, the assistant to the President of Stars & Stripes, drafted the memorandum at the behest of the Committee and testified that he had no idea who copied or distributed the memo, but that he learned from Mr. Carl Towe, President of Stars & Stripes, that it had been distributed. (July 23, 2004 Tr. at 428-29). Mr. Towe testified, however, that he did not know whether the memorandum had been distributed. (July 26, 2004 Tr. at 154). Further fueling this doubt as to the distribution of the memorandum is the fact that several managers whom the Committee called as witnesses testified that they did not remember seeing the memorandum.34 This lack of reasonable diligence and follow-through by the proposers on a matter that is central to the integrity of the circulation process under District of Columbia law reflects, at best, a half-hearted approach to ensuring compliance with the law, and at worst, a clear indifference to the legal requirements of the petition circulation process. In either event, the Committee’s response under the circumstances here was grossly deficient. The insufficiency of the Committee’s response is further illustrated by the apparent lack of attention that was directed by the Committee to the operation at the Red Roof Inn. In striking contrast to the operation conducted from the law firm of Manatt, Phelps and Phillips, LLP, at 1501 M Street N.W. — where the officers of the Committee were physically present, and which appeared to receive their attention35 — the Red Roof Inn operation appeared to receive scant attention from the Committee. Notwithstanding the well-known and publicized fact that the Red Roof Inn was a central base of operation for the petition drive,36 that the signature gathering operation conducted from the Red Roof Inn relied heavily on the use of non-residents in conjunction with District residents, and that the allegations of wrongdoing concerned the manner in which the non-residents and District residents, in combination, conducted the signature gathering operation, no one from the Committee ever visited the site to review the operations there. Nor did the Committee take any greater interest in knowing what was going on at the Red Roof Inn, even after the allegations surfaced. March 16, 2005 Tr. at 112-113. Mr. Alfonso openly admitted that he spent no time at the Red Roof Inn during the petition drive and sent no one to that site even after media reports of problems at that location (July 28, 2004 Tr. at 213; March 11, 2005 Tr. at 307-08), asserting that the “Red Roof Inn was not part of the Committee’s responsibility.” March 11, 2005 Tr. at 308. Ms. Wilcher, whom Mr. Alfonso cited as one of his “eyes and ears” in the field, spent, by her own account, approximately one hour of the five-day petition drive in the field, and there is no indication that there was any focused attention on the operations at the Red Roof Inn. July 27, 2004 Tr. at 527. Nor did Ms. Gentry spend any time at the Red Roof Inn. March 18, 2005 Tr. at 302. Further, while Mr. Alfonso testified in the July 2004 proceeding that Mr. Robert Newell, one of his “eyes and ears” in the field, went to the Red Roof Inn on a daily basis “to observe the operations over there” (July 28, 2004 Tr. at 211), in the penalty phase of the proceedings, Mr. Alfonso described his earlier testimony in that regard as a mere hypothetical or possibility (March 16, 2005 Tr. at 121), thus casting doubt on the extent, if any, of Mr. Newell’s monitoring activities at the Red Roof Inn. Mr. Alfonso’s rather tortured interpretation of his earlier testimony renders its reliability questionable. In any event, whether Mr. Newell “actually” frequented the Red Roof Inn and reported back to Mr. Alfonso, as Mr. Alfonso initially testified, or “possibly” frequented that site as he subsequently suggested, there is no evidence that the Committee either conducted or oversaw – through Mr. Newell or otherwise – the kind of review of the operations at the Red Roof Inn that the circumstances warranted. In the Board’s view, a reasonable response to the allegations of improprieties concerning non-resident circulation should have entailed, at a minimum, a visit to the Red Roof Inn, to ascertain whether there was any merit to the claims of wrongdoing and, if so, concrete attempts to thwart the malfeasance. The record before the Board contains no evidence that any such steps were taken. The result of this failure to act was made painfully evident during the July 2004 proceedings, particularly through the unrebutted testimony of several circulators from the Red Roof Inn. Those circulators stated that they, and others, had signed off on petition sheets that had been circulated by non-residents, and that they had witnessed other unlawful conduct, much of which occurred at the site where petition sheets were turned in at the Red Roof Inn. In short, the Respondents were grossly negligent in failing to fulfill their responsibility to respond in a reasonable manner in the face of allegations of wrongdoing. As a separate matter, although the officers of the Committee indicated that they fully understood their “overwhelming need to supervise all those involved” in the signature gathering effort (Committee Officers’ Statement at 4), their failure to properly fulfill that obligation renders them directly liable for the violations which occurred under the theory of negligent supervision. The Committee certainly had notice of allegations of the misconduct, which ultimately was revealed to have occurred on a grand scale in the signature gathering operation conducted from the Red Roof Inn. But yet, the Committee did essentially nothing to confront the problem where it apparently lay. Clearly, agents working on behalf of the Committee were acting illegally, and the Committee should have known, or at least could have discovered with minimal effort, that such activity was occurring. But yet, the Committee failed to adequately supervise its agents.37 Under the circumstances, the Committee was negligent in the supervision of its agents, and is directly liable for the same. Accordingly, the negligent supervision theory—as distinct from the common law theory of negligence—provides an independent basis upon which the Respondents’ liability rests. It is clear, as Mr. Alfonso implied through his testimony, that, even in the face of allegations of improper conduct, neither the Committee or any officers of the Committee assumed any responsibility for ensuring that the gathering of the signatures was being accomplished by PCI in compliance with the election laws. See March 11, 2005 Tr. at 303. The Respondents’ failure to take adequate corrective action under the circumstances here is unreasonable and warrants the imposition of civil penalties. The Committee’s negligent approach to overseeing the process also infected their response to their own concerns that at least two circulators, Augusteen Cowan and Jumhariyah Latanrang, were improperly obtaining or forging signatures on the petition sheets. While the proposers communicated their concerns regarding these particular circulators and directed PCI to check the petition sheets submitted by Ms. Latanrang, and not to submit Mr. Cowan’s petition sheets to the Board (March 16, 2005 Tr. 34-35, 42-53; March 18, 2005 Tr. 39-45), they took no steps to help ensure that the problematic sheets or signatures were not in fact turned in. March 17, 2005 Tr. at 307-08. In fact, 80 petition sheets were submitted to the Board from Augusteen Cowan, and 12 were submitted from Jumhariyah Latanrang.40 Of the questionable sheets submitted, the Committee later conceded 34 signatures on those sheets attributable to Mr. Cowan and two petition sheets attributable to Ms. Latanrang. Simply stated, Mr. Alfonso’s admission that he had “no idea what petitions [PCI was] turning in” to the Board (id. at 23), reflects a complete abdication of the ultimate responsibility that even Mr. Alfonso acknowledges is borne by proposers to submit an acceptable petition to the Board. March 15, 2005 Tr. at 286.41 A greater degree of indifference as to whether legal requirements were met is difficult to imagine, and must be met with the appropriate sanctions. Having established that the Respondents are not without fault vis-à-vis the pervasive fraud found in the Initiative Measure No. 68 petition circulation process conducted by the Stars & Stripes circulators, but bear both direct and vicarious liability for the same, the Board must now determine the responsible parties against whom to assess penalties and the amount of penalties to be assessed. Under District of Columbia law, the proposers of an initiative bear the responsibility for securing valid signatures for submission to the Board. See D.C. OFFICIAL Code § 1-1001.16(i). Proposers may be individuals and/or entities. See D.C. Official Code § 1-1001.02(15). In the instant matter, although the submitted measure listed only Pedro Alfonso and Vickey Wilcher as proposers of Initiative Measure No. 68, it is apparent that both the Committee’s Custodian of Records, Margaret Gentry, and the Committee itself functioned as proposers of the Initiative and that the Respondents treated them accordingly. Both the testimony before the Board and other matters of record confirm these facts. Although Margaret Gentry was not officially identified as a proposer of Initiative Measure No. 68, she acted in that capacity. Significantly, Ms. Gentry was the Committee member who appeared at the Board’s special hearing held on July 1, 2004, for the purpose of approving and adopting the petition form for Initiative Measure No. 68. When asked by Chairman Lewis at that hearing whether or not she approved the form and adopted it as her own, Ms. Gentry responded affirmatively, stating, “Yes, Madam Chairman, we do approve and adopt it as our own.” July 1, 2004 Transcript of Special Board Hearing: Approval of the Form for Initiative 68 “The Video Lottery Terminal Initiative of 2004.” Pursuant to District law, only the proposer of a measure shall formally adopt the original petition form for an initiative. See D.C. Official Code § 1-1001.16(g)(“[T]he Board shall prepare and provide to the proposer at a public meeting an original petition form which the proposer shall formally adopt as his or her own form.”). By her actions, it is apparent that Ms. Gentry obviously considered herself to be a proposer of Initiative Measure No. 68, and held herself out as such. Then, in the ensuing litigation, Argo v. D.C. Board of Elections and Ethics, a case in which Initiative Measure No. 68 was challenged on substantive and formulation grounds, Pedro Alfonso, Vickey M. Wilcher, Margaret Gentry and the Committee were successful in obtaining permission from the Court, pursuant to SCR-Civil 24(a)(2), to intervene as a matter of right based upon their status as “the proposers of the Initiative in the instant action.” Memorandum of Points and Authorities in Support of Motion for Leave to Intervene as Defendants at 3. As Intervenors, they petitioned the Court to allow the Board to provide “Intervenors with an ‘original petition form’” in a timely enough fashion to allow “the Intervenors [to meet] the Board’s July 6, 2004 date for submitting the required number of valid signatures.” Intervenors’ Motion for an Expedited Hearing, Argo v. D.C. Board of Elections and Ethics, No. 00-4740 (D.C. 2000) at 2, 3. Once again, only the proposers of a measure may be provided with an original petition form and may file the petition bearing signatures with the Board. See D.C. Official Code § 1-1001.16(g), (j)(1). Accordingly, both Ms. Gentry and the Committee itself made clear—through their representations to the Court and their action in seeking relief to which only the proposer of an initiative is entitled—that they considered themselves, and were holding themselves out as, proposers of Initiative Measure No. 68. Further, it is equally clear that the roles of proposer, Committee Officer, and Committee were deemed interchangeable. Indeed, Mr. Alfonso, as both the Chairman of the Committee and a proposer of the measure, considered his two positions essentially synonymous. With respect to the statutorily prescribed responsibilities of the proposer of an initiative measure, Mr. Alfonso testified that he submitted the initiative measure for consideration by the Board in his capacity as Chairman of the Committee (March 10, 2005 Tr. at 178); that the Committee filed the requisite statement of organization at the Office of Campaign Finance (June 9, 2004 Tr. at 43); that the “Committee adopted the petition form as its own” (March 15, 2005 Tr. at 130); that the Committee was responsible for submitting valid signatures (March 15, 2005 Tr. at 130-131); that the Committee decided to file on July 6, 2004 (March 15, 2005 Tr. at 121-122); and that he filed the Initiative Petition in his capacity as Chairman of the Committee (March 10, 2005 Tr. at 187). Mr. Alfonso left no doubt that he believed the initiative proposers, Committee Officers, and the Committee to be interchangeable and to share the same responsibilities, and that he acted consistent with that belief. March 15, 2005 Tr. at 290-293. Alternatively, the Committee unquestionably acted as an agent on behalf of the proposers. Black’s Law Dictionary defines an agent as “[a] person authorized by another (principal) to act for or in place of him; one entrusted with another’s business.” BLACK’S LAW DICTIONARY 63 (6th ed. 1990).42 In the closing statement proffered by the Committee during the hearing on the challenge to ballot access, it was noted that “the Committee took on the responsibility for carrying out all aspects of the [Proposers’] obligations to comply fully with the laws and regulations of the District of Columbia,” and that “[t]he Committee readily acknowledges its ultimate responsibility for the conduct of the petition-circulation process and all other matters flowing from its sponsorship of the Initiative.” Citizens Committee Closing Statement, Drake et al v. Citizens Committee for the D.C. Video Lottery Terminal Initiative of 2004, No. 04-020, at 1-2. It is evident that, at a minimum, the Committee was acting at all times as the Proposers’ agent in connection with Initiative Measure No. 68. In view of the foregoing, the Board finds that Pedro Alfonso, Vicky Wilcher, and Margaret Gentry, as proposers and former officers of the Committee, and the Committee itself, are the parties to be held responsible for the violations discussed herein, and are the appropriate parties to be sanctioned in connection therewith. Pursuant to D.C. Official Code § 1-1103.05, “[a]ny person who violates any provision of [the Election Act] may be assessed a civil penalty by [the Board] … of not more than $200 … for each such violation.” Accordingly, the Board may assess the Respondents up to $200 for each violation attributed to the Stars & Stripes circulators. Based upon the District’s election laws regarding the initiative process, the Board has determined that a signature-by-signature analysis is appropriate because each signature must be properly obtained, and thus stands on its own as it relates to the matters to which the affiant attests in the affidavit and the submission to the Board. Although the Board has the discretion, pursuant to District of Columbia law, to impose the maximum penalty for each violation, it may also impose a lesser fine upon consideration of any mitigating circumstances which may be present. Accordingly, against the backdrop of the nature and pervasiveness of the violations and the grossly negligent conduct of the Respondents, as described in detail in the Board’s opinions, the Board — consistent with principles of fairness — considered any mitigating factors in determining the appropriate fine. While the Board considered the entirety of the record in this regard, of particular significance with respect to mitigation is the fact that the Board found no evidence that the Respondents set out to intentionally flout the District’s election laws or that they encouraged Stars & Stripes to do so, and the fact that a portion of the signature gathering operation was properly managed. Upon consideration of all of the relevant factors, the Board has determined that a penalty in the amount of $622,880 is warranted. For all the foregoing reasons, the Board finds that the Respondents are: (1) vicariously liable for the wrongful acts of the Stars & Stripes circulators; and (2) directly liable for their own failures to respond sufficiently to allegations of wrongful conduct and to properly oversee the petition circulation process under both common law negligence and negligent supervision theories of liability. The Board further finds that a civil penalty in the amount of $622,880 is warranted for the violations. FURTHER ORDERED, that the fine shall be paid by certified check made payable to the D.C. Treasurer. Charles R. Lowery, Jr., Esq. 1. In view of the extensive proceedings conducted in July 2004, the full opportunity afforded to the Citizens Committee for the D.C. Video Lottery Terminal Initiative and its officers to present evidence, and the affirmance of the Board’s ruling by the Court of Appeals for the District of Columbia, the Board disallowed any attempts to relitigate its earlier findings as to the existence or extent of the improprieties and irregularities that were found to have polluted the petition circulation process in violation of the election laws. See March 10, 2005 Tr. at 6-7. 2. See In the Matter of Hon. Mayor Anthony Williams, BOEE Admin Hrg. No. 02-019. 3. As discussed at Section IV infra, the roles of the Proposer, Committee Officer, and the Committee were deemed synonymous; thus, the terms are used interchangeably throughout this Memorandum Opinion. 4. Board member Lowery was not present from March 15 through March 18, 2005. However, audiotapes and the official transcript of the proceedings were provided to him so that he could participate fully in the Board’s deliberations. 5. The Board heard testimony from 9 witnesses: Pedro Alfonso, Cynthia Allen, Darryl Bonner, Bryan Hancock, Johnny Clinton Hyatt, Margaret Gentry, Angelo Paparella, Ramona Ross, and Vickey Wilcher. Mr. Robert Newell was subpoenaed, using a purported District of Columbia business address, but there was no response to the subpoena. 6. One challenge was filed by Ronald Drake, Esq., and the other was filed jointly by D.C. Watch and D.C. Against Slots. 7. Stars & Stripes is a Florida-based petition circulation company which conducted the Video Lottery Terminal circulation activities at issue principally out of the Red Roof Inn in Northwest Washington, D.C.
8. Under District of Columbia law, an initiative petition circulator must complete and sign a circulator’s affidavit of certification for each petition sheet he or she circulates. The affidavit, which is “made under penalty of perjury,” contains several representations, including that “the circulator of the petition sheet was in the presence of each person when the appended signature was written” and that the circulator “is a resident of the District of Columbia and at least 18 years of age.” D.C. Official Code § 1-1001.16(h). At the core of the Challengers’ allegations were the contentions that petition sheets were circulated by non-residents in violation of District law, and that the circulator affidavits were signed by residents who were not in the presence of the signers when the petitions were signed, again in violation of District law and contrary to the representation in the affidavit. 9. On January 12, 2005, the briefing schedule and the scheduled date for the hearing were modified at the request of the Respondents to accommodate both an attorney’s conflicting trial date and an attorney who had been recently retained for the proceedings. 10. The Board’s finding in this section of vicarious liability for the wrongdoing of the Stars & Stripes circulators is independent of the Board’s finding of direct liability in Section III below, which is grounded in the Respondents’ failures with regard to their own responsibilities under the law. 11. The Respondents presented the testimony of two circulators who stated that they were not hired by the Committee; did not report to the Committee; decided their own working hours and the locations where they would circulate petitions; and had no contact with, or knowledge of, the officers of the Committee. See March 10, 2005 (Cynthia Allen) Tr. at 144-147, 152, 156; March 15, 2005 (Ramona Ross) Tr. at 67-72, 82. The circulators also acknowledged, however, that they had no knowledge regarding any reporting relationship that may have existed between those to whom they reported and any other individuals. See March 10, 2005 (Allen) Tr. at 175-176; March 15, 2005 (Ross) Tr. at 82. 12, Those factors are: “(1) the selection and engagement of the servant, (2) the payment of wages, (3) the power to discharge, (4) the power to control the servant’s conduct, (5) and whether the work is part of the regular business of the employer.” Safeway, 448 A.2d at 860. 13. While Mr. Alfonso took issue during the hearing with the statement that he oversaw the circulation process at various locations, and that he “directed” Robert Newell to coordinate between the subcontractors and manage the activities between subcontractor locations, (see March 16, 2005 Tr. at 145-148, 149-153), he curiously did not take the opportunity to do so in the Statement of Mitigation submitted on behalf of the individual Respondents, in which they stated that they adopted and incorporated the majority of the Statement in Mitigation submitted on behalf of the Committee. 14. Robert Newell was an officer of North Atlantic Investment, LLC, which was one of the major investors in the Video Lottery Terminal project. See July 28, 2004 Tr. at 91. 15. Although Mr. Alfonso attempted during these proceedings to draw a distinction between “hav[ing] [oversight of] the overall circulating process,” and “manag[ing] that process and [being] at the helm as the campaign manager,” he acknowledged that the Citizens Committee never relinquished final authority over the process to any entity, including PCI. See March 16, 2005 Tr. at 146, 156-57. 16. It appears that, to some extent, the distinction between PCI and Stars & Stripes personnel was somewhat blurred in the minds of some, including Mr. Alfonso, during the course of the petition drive. At the July 2004 hearing, Mr. Alfonso testified that his contact with PCI during the circulation process was with Robert Grocholski and Johnny Clinton Hyatt, the latter of whom he acknowledged was an assistant to Mr. Carl Towe, the President of Stars & Stripes. July 28, 2004 Tr. at 212. Mr. Alfonso also subsequently testified that “all of the managers from PCI and Stars and Stripes” were asked to meet to address the issue regarding the wearing of certain controversial T-shirts. Id. at 249. Then, at the March 2005 penalty hearing, Mr. Alfonso testified that, although he was aware during the petition circulation process that PCI had hired subcontractors, he was only vaguely aware of Stars & Stripes, and had no contact with them during the campaign. Mar. 11, 2005 Tr. at 256-57. Mr. Alfonso’s lack of clarity may have been fueled, at least in part, by the fact that Mr. Hyatt – who initially sought employment with Mr. Angelo Paparella, the President of PCI, was referred by Mr. Paparella to Mr. Towe of Stars & Stripes, and served as Mr. Towe’s assistant – introduced himself at the meeting with the Committee as being from PCI. March 18, 2005 Tr. 346, 350-51, 417. Having worked together on other projects, Mr. Paparella and Mr. Towe’s relationship apparently was informal, as reflected by the fact that the contractual relationship between PCI and Stars & Stripes was oral in nature. See July 28, 2004 Tr. at 329. 17. During his testimony, Mr. Alfonso gave examples and otherwise referred to the Committee’s monitoring and oversight activities. See, e.g., July 28, 2004 Tr. at 211 (“The concern about the petition process, we [the Committee] called in the supervisors, had a meeting with them. The result was the memo that has been part of the process here at the hearings that was generated as a result of requesting and demanding a meeting that was held at Manatt Phelps with their supervisors. The request that they not use t-shirts. The process of observing the training and the orientation process and satisfied that [sic]. So that involvement with the upper management of PCI was my particular involvement.”); id. at 175 (“[W]e actually met with the PCI representatives to tell them that they [the t-shirts] must be removed, …. [W]e were satisfied that the directive was followed.”); id. at 249 (“To address the issue [regarding the T-shirts] immediately, and so we made calls and we asked all of the managers from PCI and Stars and Stripes to meet with us that night -- …. [W]e met to address the issue that night, and we thought it was important enough to take care of the matter immediately.”). 18. In the March 2005 proceedings, Mr. Alfonso revised his earlier testimony – this time, describing Mr. Newell’s observation activity at the Red Roof Inn as a hypothetical or a possibility. See March 16, 2005 Tr. at 121. 19. Ms. Wilcher testified that at the time of her interaction with Mr. Hyatt, she was unaware of who he was. Upon seeing the circulators wearing the T-shirts, she approached the person “who seemed to be in charge [of the petition circulation process] at the moment” and advised him that the T-shirts could not be worn. July 27, 2004 Tr. at 495. As it turned out, the person whom she approached and to whom she gave the instruction was Mr. Hyatt, an assistant to the President of Stars & Stripes. 20. The memorandum misstated the law in instructing that non-residents of the District of Columbia could play no role whatsoever in the circulation process. 22. As our Court of Appeals has recognized, even where an independent contractor relationship exists, there still may be liability on the part of the hirer for the contractor’s actions in certain circumstances, including in instances of non-delegable duties. Safeway, 448 A.2d at 862, n.12. The Board need not reach the question of whether the responsibility of an initiative proposer to secure valid signatures would qualify as a non-delegable duty, because we find that the independent contractor theory does not apply here. 23. Conversely, “[c]onduct of a servant is not within the scope of employment if it is different in kind from that authorized, far beyond the authorized time or space limits, or too little actuated by a purpose to serve the master.” Brown, 782 A.2d at 758, n.8 (quoting Restatement (Second) of Agency, § 228 (1957)). 24. The accomplishment of this goal carried with it certain financial rewards for the Chairman of the Committee, Mr. Pedro Alfonso. Pursuant to his consulting agreement with North Atlantic Investment, LLC, one of the major investors in the Video Lottery Terminal (VLT) project (July 28, 2004 Tr. at 91), Mr. Alfonso was entitled to receive $1 million on top of his $8,000.00 monthly consulting salary if the VLT initiative obtained ballot access on the November 2004 ballot and passed. Mr. Alfonso also was entitled, under Section 2 of his consulting agreement entitled “Success Fee,” to an additional $1 million upon the licensing by the D.C. Government of the video lottery terminals. See Challenger’s Exhibit C (March 15, 2005). 25. As Mr. Paparella testified, the time period for gathering signatures was, in reality, “[s]omewhere between four-and-a-half and five [days].” July 28, 2004 Tr. at 307. 26. The Committee noted in its written submission to the Board that it took reasonable steps to comply with the law “under the extraordinary circumstances presented.” Reply Statement in Mitigation of the Citizens Committee for the D.C. Video Lottery Terminal Initiative and Johnny Clinton Hyatt (Committee’s Reply) at 3. However, these “extraordinary circumstances” flowed in large part from the Committee’s decision to proceed with a large-scale operation of this nature within a five-day window. 27. Pursuant to the terms of the unexecuted contract between the Committee and PCI, which formed the basis for PCI’s work, PCI was tasked with “gather[ing] approximately 50,000 signatures with at least 45% being valid registered Washington D.C. voters … including five percent (5%) of the registered electors in each of five (5) or more of the eight (8) Wards …” BOEE Ex. 17 (July 28, 2004) at 1, 2. [T]o abandon their hurried drive to put slot machines on the District Ballot. In an interview, Williams (D) said gambling advocates—led by businessman Pedro Alfonso and former D.C. Councilmember John Ray—are “rushing this thing.” He encouraged Ray and Alfonso to slow down and instead consider putting the matter before voters during city-wide elections in 2006. Lori Montgomery, Williams Urges Slowing on Slots, Wash. Post, June 25, 2004 at B-01. 30. These same allegations, and others, were circulated in the news media: Serge F. Kovaleski, Proposers of D.C. Slots Launch Blitz On Petitions, Wash. Post, July 2, 2004 at B-01; Elisa Silverman, Loose Lips Column, Wash. City Paper, July 2-8, 2004; Serge F. Kovaleski, Non-D.C. Residents Petitioning for Slots, Wash. Post, July 3, 2004 at B-01; David Montgomery, High-Stakes Gamble: Chasing Signatures for Slot Machine Initiative, Wash. Post, July 3, 2004 at C-01. 31. The Committee’s counsel focused on this point in his July 6, 2004 response to the July 2, 2004 Letter of Complaint. (c) in the supervision of the activity. . .
Restatement (Second) of Agency§ 213 (1958). 33. Mr. Alfonso also testified that he had a “detailed discussion” with the PCI representative, Mr. Rob Grocholski regarding the “specific process that they would utilize for [the] drive.” July 28, 2004 Tr. at 113, 114. As was apparent in this case, the process as it was supposed to operate was a far cry from the process as it was actually implemented. Thus, such a discussion would likely be of limited utility in uncovering and addressing problems in the implementation of the process as distinguished from problems in its design. 35. As the Board previously found, the 1501 M Street operation was not plagued with the types of irregularities and improprieties that characterized the Red Roof Inn operation. Memorandum Opinion and Order dated August 13, 2004 at 49. Information or knowledge of a fact imputed by law to a person (although he may not actually have it), because he could have discovered the fact by proper diligence, and his situation was such as to cast upon him the duty of inquiring into it. Every person who has actual notice of circumstances sufficient to put a prudent man upon inquiry as to a particular fact, has constructive notice of the fact itself in all cases in which, by prosecuting such inquiry, he might have learned such fact. BLACKS LAW DICTIONARY 1062 (6th ed. 1990)(emphasis added). Accordingly, the Committee cannot simply remain immobilized, fail to take reasonable steps to determine if the “rumors” -- which constituted information sufficient to require further inquiry on the part of the Committee -- have merit, and then claim a lack of knowledge of “facts.” The Committee could, and should, have taken reasonable steps to determine the facts, and in the absence of so doing should be deemed to have constructive knowledge of what the facts reveal. Further, while there may have been some uncertainty as to the law regarding the extent of assistance that non-residents could provide to D.C. resident circulators, there should have been no uncertainty as to the impropriety of falsely attesting to facts contained in an affidavit. 38. This occurred notwithstanding the allegedly sophisticated “purging” process which PCI representatives stated was for the purposes, among other things, of reviewing petition sheets for errors and detectable signs of fraud. (July 26, 2004 Tr. at 61-62; July 27, 2004 Tr. at 88-90, 134). Quite clearly, both the Committee and PCI were less than reasonably vigilant. The thought would be that we might have to withdraw some if there were some obvious irregularities then we'd--you know, we'd start by looking at them and pulling those that--if it didn't have a signature, you know, that's--and there might have been--you know, this is something that might have been missed in earlier checks because things were happening relatively quickly so we just wanted to try to, you know, be as sure as we could be that we were turning in good signatures or that, you know, we could withdraw those that weren't. March 18, 2005 Tr. at 52. Had a review of the petition sheets by the Committee taken place in a timely manner, not only could the problem petition sheets have been detected, but the underlying problem that the sheets reflected could have been investigated and addressed. 40. See BOEE Report of Petition Verification for Initiative Measure No. 68 dated August 5, 2004, Attch. 3. 41. Mr. Alfonso, who spent 90% of his committee time attending community meetings for the initiative (March 11, 2005 Tr. at 305-06), also testified that he did not know any of the subcontracting firms until the hearing (id. at 309; March 16, 2005 Tr. at 54), and “had no particular interest in finding out about these contractors.” (March 16, 2005 Tr. at 56). 42. The extent of control maintained by the proposers over the Committee cannot, of course, be seriously questioned in view of the fact that proposers Pedro Alfonso Vickey Wilcher and Margaret Gentry served as Chairman, Treasurer, and Custodian of Records of the Committee, respectively. 43. In assessing penalties, the Board, in its discretion, is not including violations that were technical in nature, such as missing dates. Nor is the Board including violations concerning non-registered voter signings. In this regard, the Board credited the argument of the Respondents that, notwithstanding PCI’s quality assurance program, such a review is best accomplished by the Board with its ability to rely on current voter registration rolls. March 17, 2005 Tr. at 52. The Board, in its discretion, is also not including violations which were not linked through testimony or documentary evidence to a named individual. 44. The numbers which follow the names of the individual circulators correspond with the number of signatures each circulator collected which were rejected by the Board. This is the case in every instance, except for Category D, which lists the name of a purported petition signatory who testified that the signature attributed to him was not, in fact, his. 4. That prior to the commencement of any initiative for which the Respondents jointly or individually serve as proposers, the Respondents shall consult with both the General Counsel of the Board and the General Counsel of the Office of Campaign Finance concerning the laws and regulations applicable to the requirements for ballot access and campaign operations in the District of Columbia, and further agree to secure proper training for any firm(s) hired to circulate initiative petitions in the District of Columbia. This provision applies to each Respondent individually and requires the Respondent to comply with the terms of the provision for the next three occasions in which the Respondent serves as a proposer for an initiative measure in the District of Columbia.